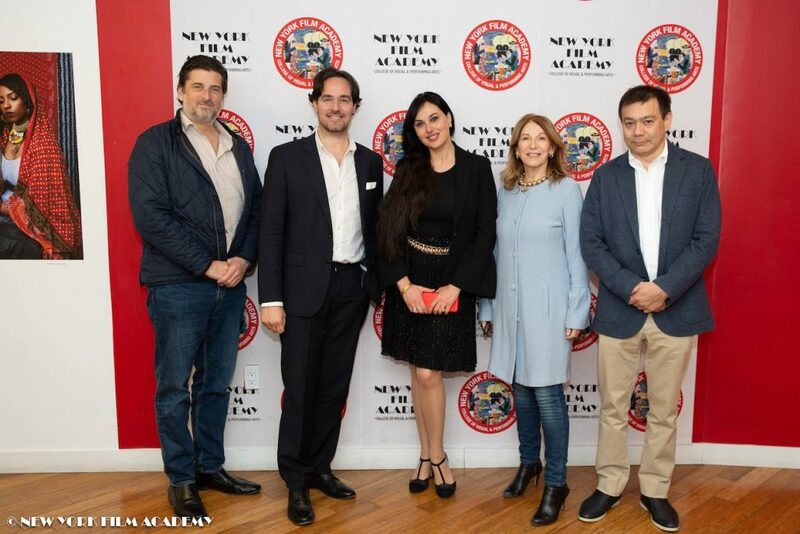 Isabelle Adriani, an Italian artist, author, and actress, recently generously donated her cinematic-themed artworks to the New York Film Academy and to the Director of the NYFA Q&A Series, Tova Laiter. 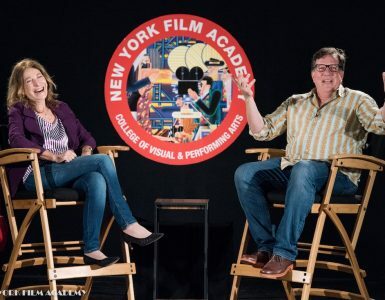 On Friday, February 22, Adriani came to visit NYFA’s Los Angeles campus. 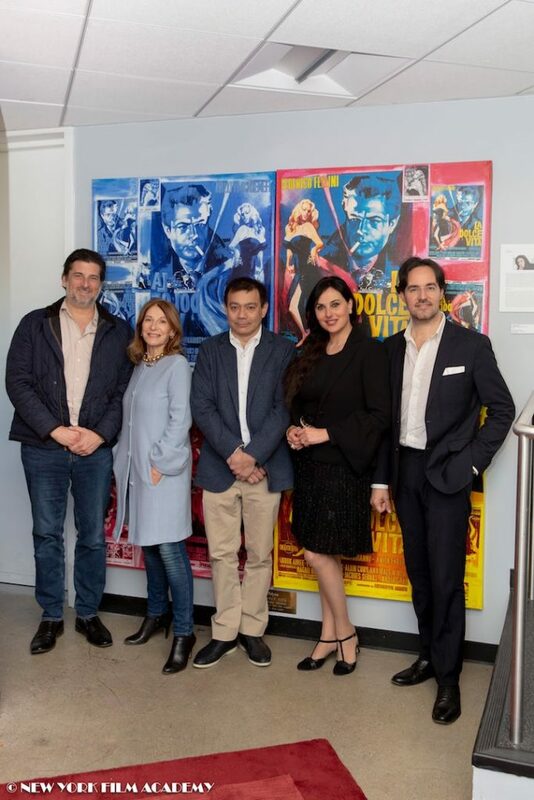 Adriani donated a total of four pieces to the New York Film Academy; The two pieces donated to the Los Angeles campus are La Dolce Vita, which features images from the 1961 Frederico Fellini film of the same name, and Charlie, which features photos of the English silent movie era actor and director giant, Charlie Chaplin. The two pieces donated to the New York campus are Once Upon a Time in America, which features images from the 1984 Sergio Leone masterpiece film of the same name, as well as one of star actress, Marlene Dietrich. 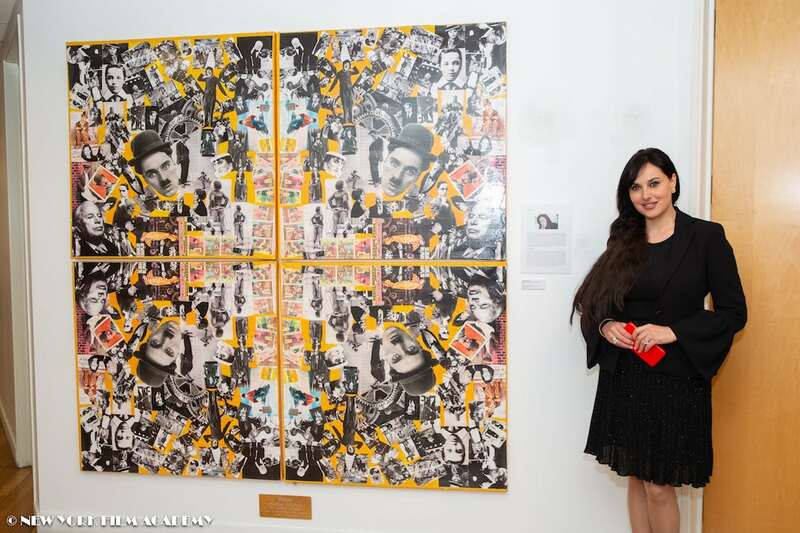 The four works are collages of photographs, posters, reviews, books and original accessories that Adriani has collected throughout her life from antique shops, fairs, and auctions all over the world. The way in which the media is arranged resembles modernists like Hannah Hoch and Mimmo Rotella and the use of color, subject matter, and desire to honor Hollywood’s history and pop culture are evocative of Andy Warhol’s quadtych-panels portraits. One of the things that distinguishes Adriani’s style from her predecessors is the “glassing” technique that she uses to make her works shine like glass and to protect the media material in the collages; Adriani keeps this technique a secret. As an actress, Adriani has acted in over 30 Italian and American productions including The American (2010) with Academy Award winner George Clooney, Twice Born (2012) with Academy Award winner Penelope Cruz, and The Young Messiah (2016) directed by Cyrus Nowrasteh (The Stoning of Soraya M.) who also directed her in The Trial (tentative title) with with Jim Caviezel (The Passion of the Christ). 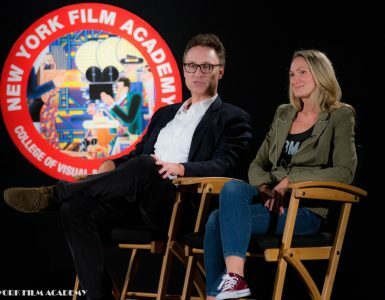 She also produced the documentary Open Quantum Relativity (2014), which explored the concept of time travel with scientists from the National Aeronautics and Space Administration (NASA) and the European Organization for Nuclear Research (CERN). Adriani has published 14 books and writes columns about the history of movies called Once Upon a Time in the Cinema. She also recorded two music albums of her unique Whistling to accompany her recent art collection called Tribute and To Movies with Love. 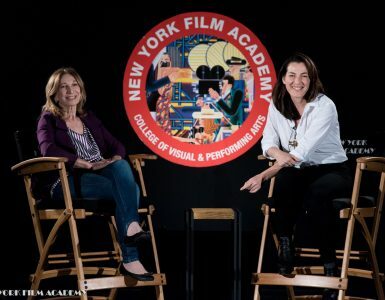 The New York Film Academy would like to thank Adriani for her generous donation to the arts and the art of cinema for our students to enjoy for years to come. Jack Picone is a multiple award-winning writer from Staten Island, New York. He is the cofounder of WEE Studios, a popular podcast network featured in The Village Voice, The A.V. Club, Uproxx, and on CBC/Radio Canada.